Today we have a couple of video tutorials that were requested by longtime customer, tbase. 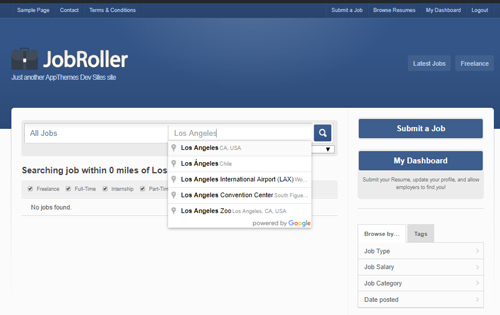 These tutorials cover two of the most basic but powerful and useful features in JobRoller: job listings and resumes. Create a Job ListingThis is what it’s all about, right? Allowing your site’s users the opportunity to post jobs to your website is the engine that generates content, traffic and more. And with the ability to charge for listings, it makes JobRoller a potential income producing tool for your website. Today is a very exciting day! The brand new AppThemes Marketplace is officially open and ready for business. This online outlet of child themes and plugins is full of products meant to tap into the full potential of our already powerful application themes. Now’s your chance to blow away the barriers holding back your internet business. Get bigger features. Choose more designs. Make your site everything you always wanted it to be. Our application themes are made to look great and the default designs deliver attractive layouts. The only problem is that hundreds of other sites have exactly the same look. You want something unique but hiring a designer can be costly and beyond budget constraints. Well forget all that because the AppThemes Marketplace is chock full of child themes that will bring your site to life. Colorful and attractive, the latest designs and the hippest graphics are available to you. You’re site is going to look fantastic and stand out above the rest. This Tuesday, we have some important information that affects users and developers of child themes. So let’s get right to it. Click to read tutorialThe new AppThemes framework uses a file called wrapper.php. Wrapper provides a nice tidy place where the html, head, and body tags live. Since these tags are no longer in header.php or footer.php, it reduces the need to make repeated calls for get_header() and get_footer(). While it is more efficient, we need to warn you that the new wrapper file can break existing child themes. The good news is that you don’t have to do a lot to fix it. Dave Cowgill has created a tutorial introducing the AppThemes wrapper.php file. The more technically inclined might want to read Scribu’s post on wrappers. It’s another week and another installment of our new feature: Tutorial Tuesdays. We are generating at least one tutorial a week, sometimes more. Along with new tutorials, we will highlight some archived tutorials that are worth another read. This week, we start with a little security tip. About a month ago, we started an internal campaign to produce more tutorial content. Everyone at AppThemes is contributing to the effort. The result will not only include some great articles on how to use our themes but also some fantastic insights into WordPress from one of the best teams in the business. To help get the word out, we’re introducing Tutorial Tuesdays to the blog. Tutorial Tuesdays will be run down of all instructional from the previous week. We will also highlight some important content from our archives and occasionally link to tutorials from other sites. It’s been a very hectic couple of weeks, AppThemers. But we promised a Vantage release date this week, so this post will be brief. We will have more news on Monday. 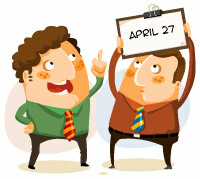 Vantage 1.0 will be available on April 27. JobRoller 1.6 will be available by the end of April. Clipper 1.3 will be available on April 9. Many more announcements and exciting developments coming soon. Stay tuned. With all the buzz about Vantage these days, it might be hard to notice that we have been working diligently on our other themes as well. In fact, one of our New Year’s resolutions was to release a new update for ClassiPress, JobRoller and Clipper once per month. I’m happy to say, we haven’t faltered on that resolution yet. We just released JobRoller 1.5.4 – that’s five updates in the last five months! We’ve made incredible progress with the theme in that time period. Our once sizable ticket list has just a handful of open issues. We feel that JobRoller is stronger and more stable than it’s ever been – and now it’s time to take it to the next level. Google Charging for Maps – Will it Affect You? Google recently announced that they would start charging for the use of Google Maps. Full details can be found at the Google Geo Developers blog.